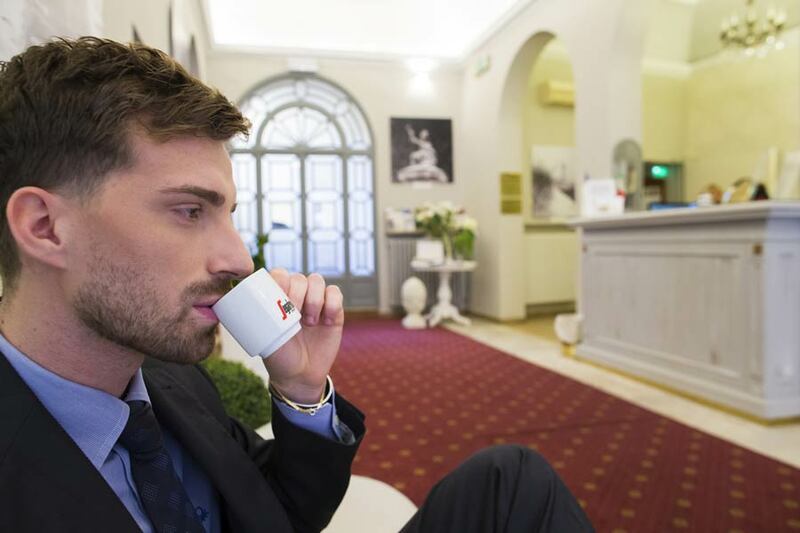 Our hotel in Bologna’s historic centre is a promoter of a specific form of art, the art of hospitality: listening and guiding you to the best accommodation experience you will ever have both inside the hotel and around our wonderful city. How do welcome and hospitality turn into a form of Art? Because we are passionate about our job consisting in welcoming you and making you feel special. Faces, familiarity, attentions, commitment and even friendship: our job is welcome you and make you feel well. We will suggest you where to go, what to see and eat according to your needs and wishes. Young people, couples, families and travelers: we will advice everyone on their best suited activities and the places to visit. Upon your arrival we will give you guides and in case of shows, concerts, exhibitions and conventions we will be at your disposal to book tickets or shuttles so that you can reach your places of interest. And what if you are in Bologna for business? Don’t worry. Our free wi-fi connection works within all rooms and an internet point is available in the hotel’s hall. If you need to make a photocopy or print flight tickets, our reception will gladly help you. And after a day filled with meetings, reunions, classes, take a short stroll and enjoy dinner at one of the many nearby restaurants where you can chill out and taste Bologna’s friendliness and magic in just a few moments. We boast a handy location nearby the city’s University area, a few steps from the city’s main monuments and the shopping, cultural and nightlife districts, lively and enjoyable thanks to its clubs, restaurants, pubs or bars where to sip a drink, taste a dish of tortellini or lasagna or simply listen to a jazz or classical music song at one of the many music temples close to our hotel.